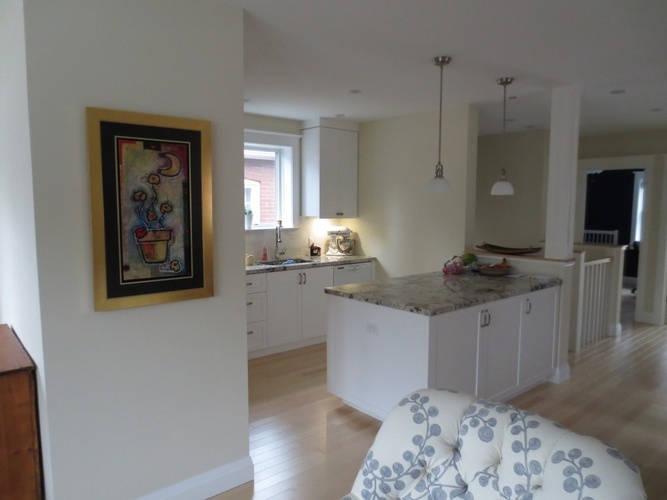 Check out the green residential renovation project gallery: East York Open Concept Bungalow Renovation. Contact our green architects & designers in Toronto, ON at The Architect Builders Collaborative Inc., for more details. 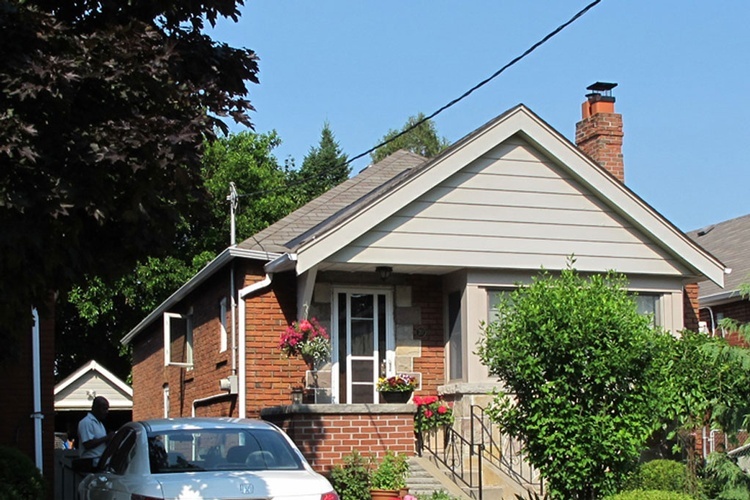 This 1943 war-time East York bungalow was struggling to provide the space for a family with two kids. A renovation to the layout and stairs turned wasted space into a more inviting and open home with separate bedrooms for the kids. The Clients were seeking to modernize a wartime bungalow with a sustainable and energy efficient renovation. 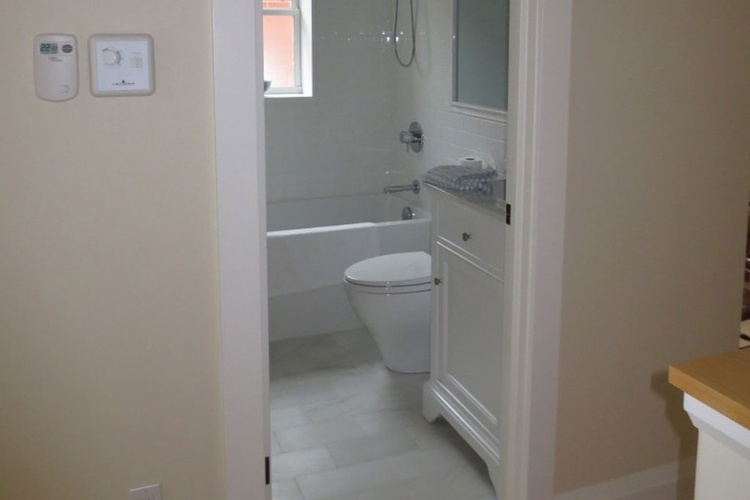 Additionally, the client’s children are growing and need separate rooms. 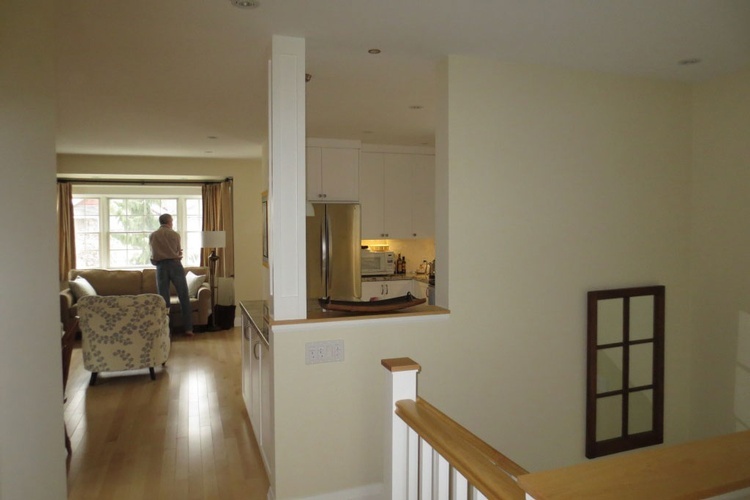 The existing kitchen was small and outdated. The kitchen, living room and dining room were all separated from each other. The client wanted to remedy these issues and first thought to add a second story. Working closely together The Architect Builders Collaborative helped them review their options, wants and needs. TABC found significant useable space in the basement and proposed a renovation and re-organization to capture wasted space. The result, a home that meets the clients needs within the existing floor space of the building through thoughtful design. A open concept living / dining room which also opens to the kitchen. The new ceiling structure will also include upgraded insulation. 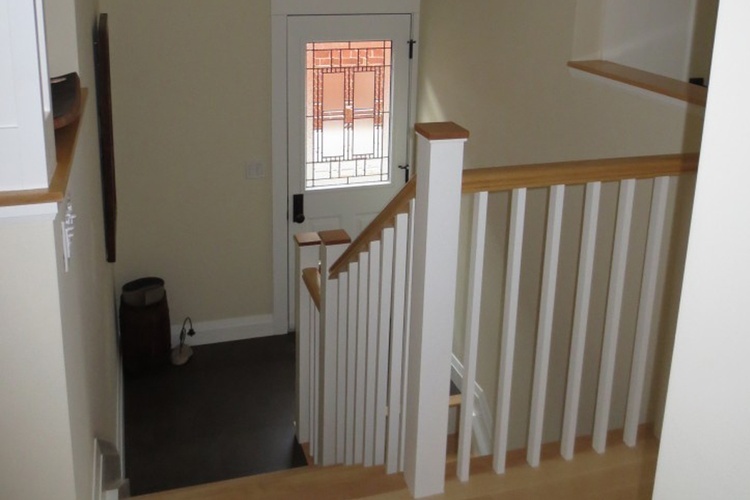 A new stair layout reducing wasted circulation space / impact to the kitchen on both floors, allowing a bedroom to be created on the lower floor. A reduced footprint for the mechanical room with new high efficiency equipment. Air distribution was designed to avoid blocking required egress windows and maintain the existing ceiling heights. Early on, the team realized that building a second floor was not the sustainable thing to do. By being smarter with the design, the existing space was mate to work better and be more useable. New high-efficiency mechanical equipment is planed to be installed. Insulating and sealing (with air / vapour barrier) the existing un-insulated exterior masonry walls will help significantly reduce energy costs and drafts.